Lead free pewter. Made in U.S.A.
A romantic classic. Our Luckenbooth pin incorporates the traditional heart and crown motifs that have epitomized the Scottish “sweetheart” brooch from the eighteenth century to the present day. 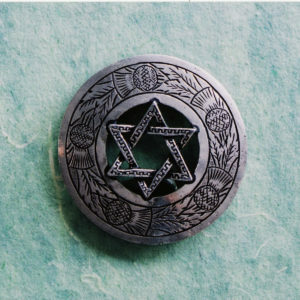 Whether simple or fancy, luckenbooth pins have been treasured across centuries and across oceans. 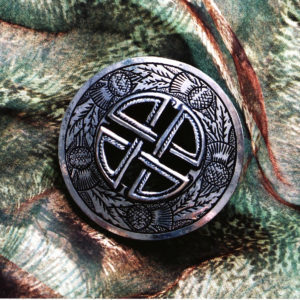 A traditional good luck charm for young brides and new mothers, luckenbooths were also a commodity in the lucrative fur trade that lured so many young Scots to Colonial North America (both Canada and the thirteen colonies). Our Luckenbooth is an entirely new interpretation that embodies the history and sentiment of all luckenbooths. It is a gift from the heart and the home, a symbol of the past and the future. We also make a bridal tiara that incorporates a trinity of our crowned thistle Luckenbooths. 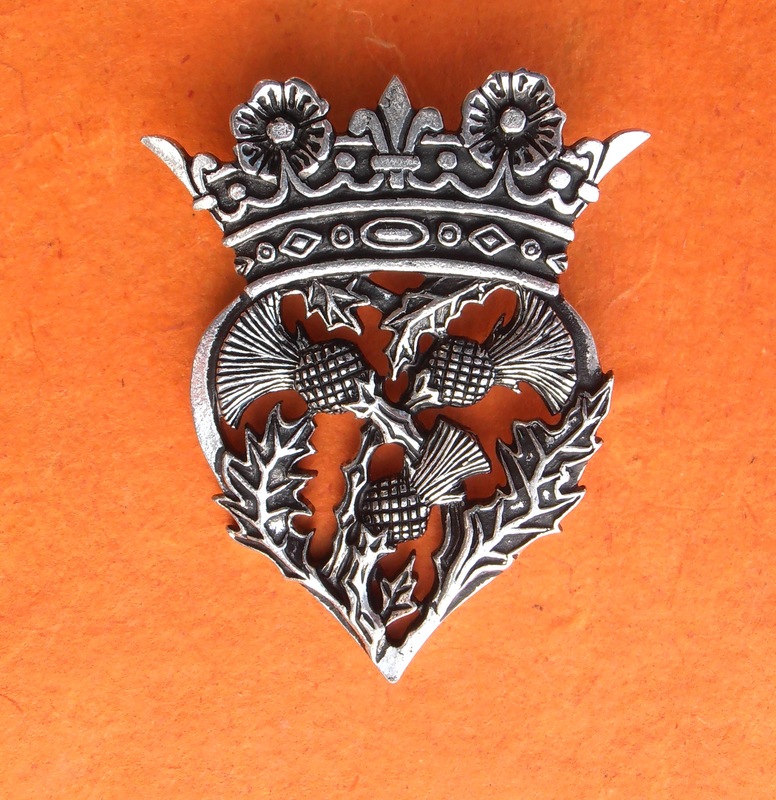 As well as a large Plaid Pin featuring a Luckenbooth. 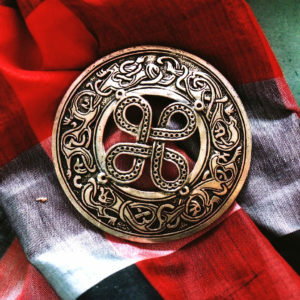 (And a smaller Plaid Brooch featuring the Luckenbooth that is part of our Highland series of Plaid Brooches) And, We make a Luckenbooth Trinity fitting perfect for a custom sporran (perfect for a groom) or lady’s clutch purse. Available by request in pewter or gold plate. Please inquire.